Archaeologists have been digging in the desert for hundreds of years. Now they’re re-examining an area last excavated over 100 years ago—and finding important, never-before-seen relics. Saqqara is a massive Egyptian necropolis (graveyard). It lies near the Giza pyramids. Tombs there date back more than 2,500 years. At least 17 Egyptian kings built pyramids at Saqqara. Other important officials also constructed monuments there. Most are in ruins. People have studied Saqqara for years. Ramadan Hussein leads a team that is digging around again. His team has found a previously unknown burial complex in the famous necropolis. Down a 98-foot shaft, Hussein’s team located chambers carved into the rock. 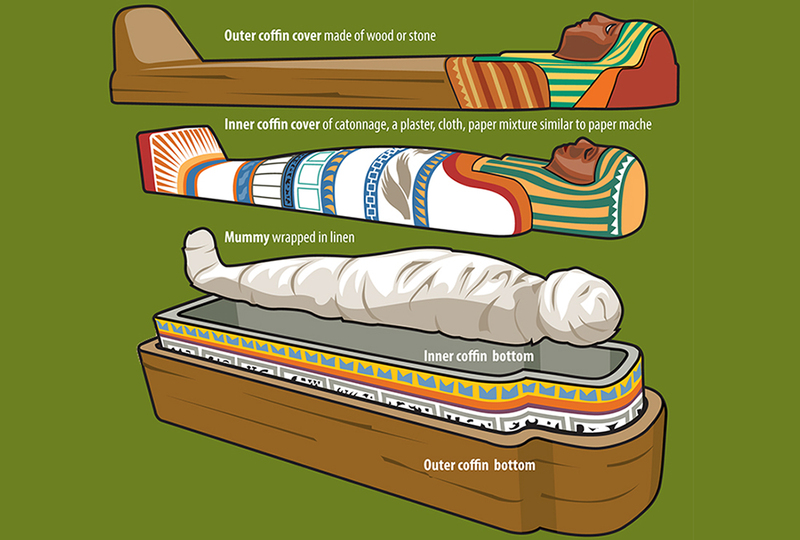 Inside were three wooden coffins, a limestone sarcophagus (casket), a mummy, and other objects Egyptians hoped would be helpful in the afterlife. Those who put their faith in Jesus Christ know they can take nothing earthly from this life to the next. “We brought nothing into the world, and we cannot take anything out” says 1 Timothy 6:7. Only the soul—and later, the resurrected body—will live forever. A mask like this hasn’t been found since 1939. Hussein calls the mask’s unearthing “a sensation.” The mask-wearer was a priest. For now, his name is unknown—since the plaque bearing his name was too badly damaged to read. The most significant find may be an underground mummification workshop. In the space, diggers found a hidden embalming area. There, priests prepared bodies for burial. Two troughs probably held bodies while they dried out in salt-based preservative. The embalming area also held pottery vessels, bowls, and measuring cups. Even better, the jars had labels. Scientists hope to find out more about oils used in the ancient mummification process. Other artifacts include fragments of linen-and-papyrus mummy wrappings and jars for holding internal organs. Scientists will use 3-D imaging to analyze the finds. 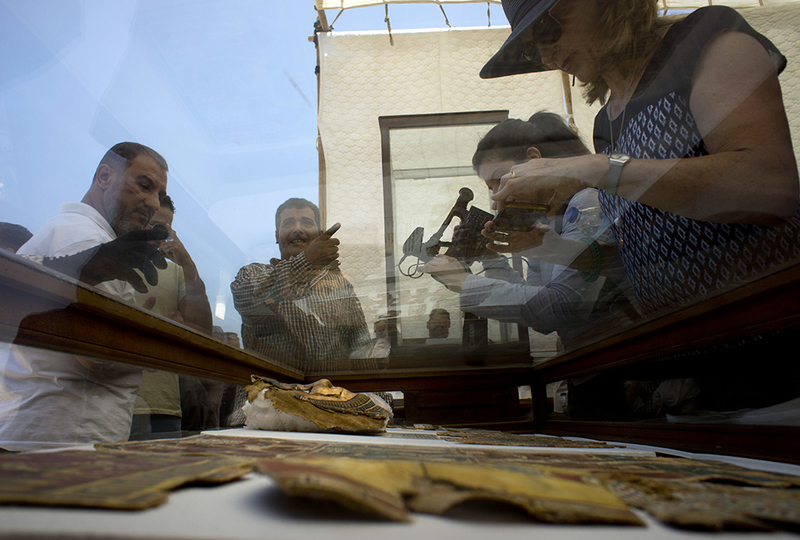 “It’s only the beginning,” says Egyptian Antiquities Minister Khaled al-Anani. 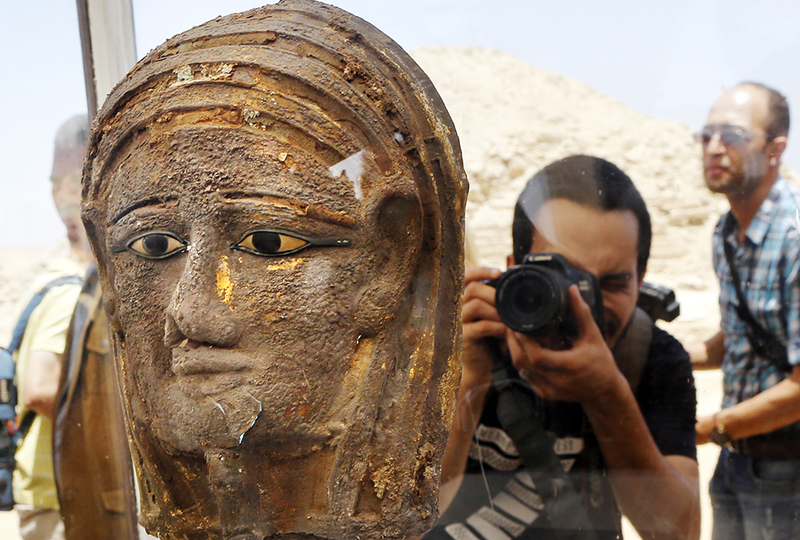 He says the new sites at Saqqara will likely yield more discoveries—perhaps even the identity of the silver-masked mummy. In the field of Archaeology, there is a specialized field called Egyptology that focuses solely on Egypt's history. I think it is an extremely interesting field of research. There will probably always be mysteries that we can't solve in history. But I love it when more of that history comes to light. 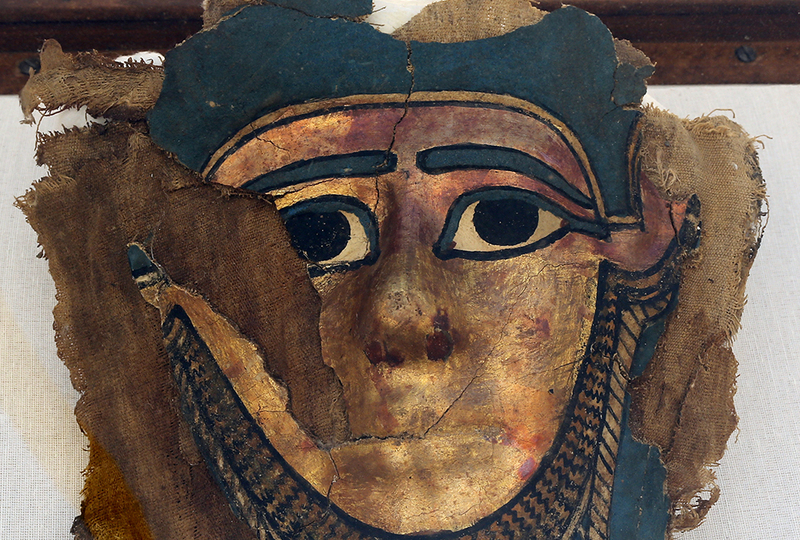 Questions about the mummies and mummification process have been around since the Greeks. It will be extremely interesting to see in the coming years just how this find affects our understanding of the mummies. Who knows? Maybe this team will finally be able to determine once and for all the purpose of the pyramids. Weren't the pyramids their burial places? Yes people were buried in pyramids, but no one truly knows if that is the sole purpose for the pyramids. I recently saw a video which made some very good points on the Great Pyramid of Giza actually being an ancient power plant. This was a fascinating topic to read about. Wow, this is cool! I want to know the uncovered preist's name, though. that is really interesting and it was cool to read about but honestly l think that it is sad to see so many more people who did not believe in God or was a Christian for school this year l am doing the 7 wonders of the world and the Pyramids of Giza were one pf them so thats pretty interesting! Gross! Who would want to dig up a body that has been rotting for 2,500 years? Cool though.